The II. 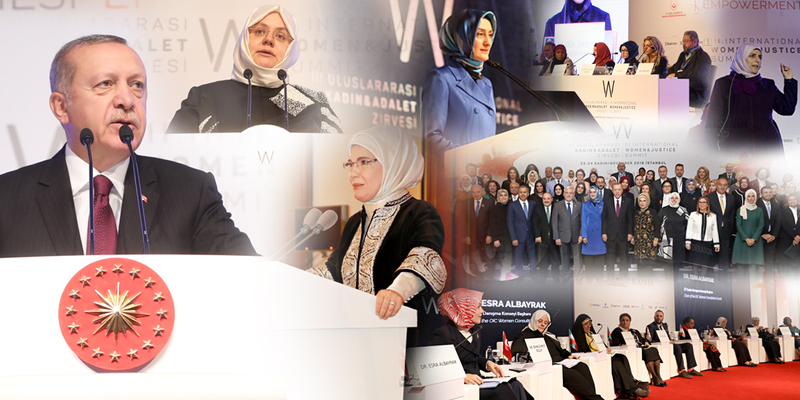 International Women and Justice Summit, which was organized jointly by the Turkish Ministry of Family and Social Policies and KADEM, Women and Democracy Association, was held at the Wow Convention Center in Istanbul on November 25-26, 2016 with the honorable attendance of President of the Republic of Turkey, His Excellency (H.E.) Mr. Recep Tayyip Erdoğan and his spouse Mrs. Emine Erdoğan. 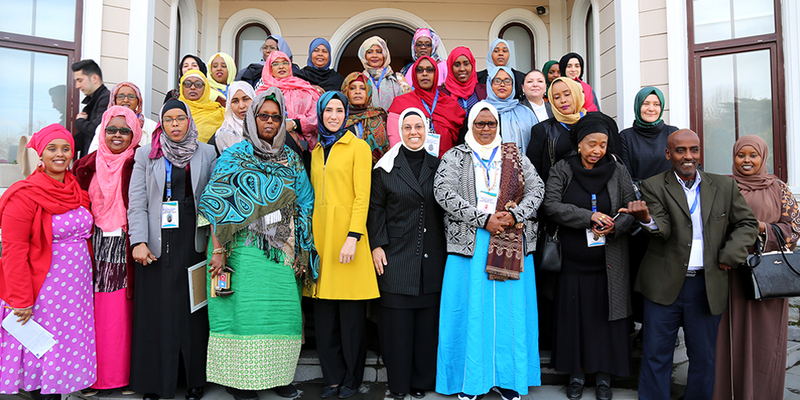 The key subjects of the summit were “The Syrian refugee women and their problems” and “Women in Peace Processes”. Ministers and deputy ministers from nine countries and many academics, researchers, writers, NGO representatives, journalists, and activists from more than thirty countries participated in the summit. The first day of the summit was reserved to the protocol speeches and the Ministerial Level Meeting. The main sessions are held on the second day. Two focus group workshops are presented with open discussions on the two key subjects of “The Syrian refugee women and their problems” and “Women in Peace Processes” in addition to eight sessions. In addition, there has been an exhibition of posters related to these issues in the lounge. The following subjects were discussed in the eight sessions: Women in Peace Processes; Syrian Refugee Women and Their Problems, Women in Their Working Life and Employment Opportunities, Political Life, Civil Society and Women in Decision Making Mechanisms, Combating Violence Against Women and Discrimination; Cultural Codes and Masculinity; Woman in Cinema, Television and Social Media; Women’s Access to Justice and Law. Women and children are the primary victims of wars, conflicts and terrorist actions. Women are facing many problems as a result of wars and conflicts. These vary from migration to poverty, from fragmented families to desolation, from violence and abuse to being the very target of the war. 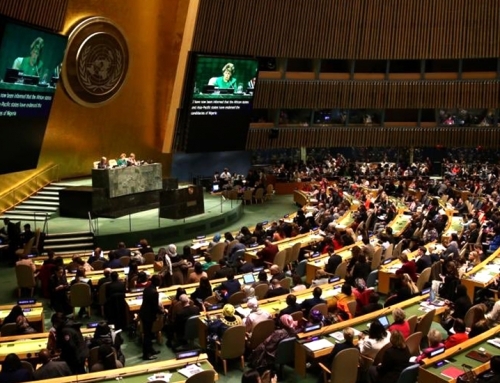 Women do not take part in the decision making resulting in wars or conflicts, nor do they adequately exist in peace processes or in peace talks. There are no meaningful decisions resulting from such decision making in favor of women where women do not take part effectively and actively. 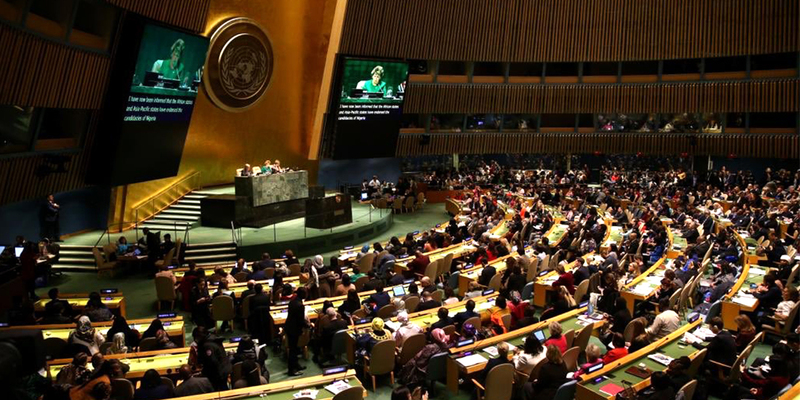 Women’s participation in peace processes is usually below 10 percent although the majority of women are affected by the wars. Women need to take part in greater numbers and in influential positions in all kinds of decision making in local governments, NGO’s, national governments and international organizations if we want to prevent wars and conflicts and to live in a more peaceful world. We invite both national and international actors and institutions and, first of all, the United Nations to pay attention to this issue. Women also bear a great responsibility in order to live in society and in a world where there are no wars or conflicts. Women do not have to just passively bear the consequences of other’s decision. They need to consciously participate in and change the nature of the relationships on every level, make their influence felt, and become more active and powerful actors in all spheres of life. Another threat affecting both women and the whole of society comes from terrorist organizations. Terrorist organizations are carrying out horrifying actions and threatening all of humanity regardless of religion, language, culture or ethnicity. In this context, the Gulenist Terrorist Organization (FETO) killing hundreds of civilians, both women and men, on July 15, 2016 in a bloody coup attempt is a significant threat not only for Turkey but for all the countries where it exists behind a mask. It is very important that the international community is sensitive and careful regarding this issue. Today, the Middle East is where war is in its cruelest form. In Syria there was mass emigration at the greatest ratios after the Second World War. Hundreds of thousands of people have lost their lives and millions of families were fragmented, and again millions of people have become refugees or illegal immigrants in other countries as a result of the war in Syria. Turkey is one of the countries where the Syrian refugees have taken refugee the most. Turkey is currently hosting nearly four million Syrian refugees. The anti-immigrant policies of Europe are placing the burden of all the costs of Syrian refugees on countries accepting great numbers of refugees like Turkey. Seventy percent of the refugees living in camps in Turkey are women and children. Thousands of immigrants are facing death trying to cross the sea in order to take refuge in Europe. Therefore, we are inviting the developed countries and, first of all, the European countries to take a more humanitarian approach towards the Syrian and other refugees. In addition, the western media should be very sensitive and objective in informing the western public correctly on these issues. Stereotypes, conventional judgments, the resulting attitudes and actions constitute the basic factors causing women to be of secondary importance in social, political and economic life. This leads politics, leadership and management to be only men’s world and women are left behind. Women sometimes need to work multiple times that of men in order to reach to their level. Therefore, it is very important to challenge and change the stereotypes and conventional judgments that leave women behind. The education policies and the curricula have to be adjusted accordingly. Differences of belief, race, culture and ethnicity among women need to be seen and understood as richness rather than a means for marginalization or exclusion. It is therefore very important that the media not impose a woman stereotype but focus on the richness of diversity among women and bring this into the forefront. This will also help society to get to know one another and serve peace in the world. In this context, the media should be careful about Islamophobia and other marginalizing and exclusive attitudes and policies that are on the rise in the West and should not be an instrument to such. In addition, it is not acceptable that the female body should be exploited in the media or the social media. Generally international and national regulations providing for equality of men and women are prepared. However, it is a clear truth that, in practice, women are not where they deserve to be despite the differences between the countries. In addition, we see that there are problems in women accessing justice despite the legal regulations that exist. It is very important to support women and to set up various mechanisms to provide for women’s access to justice and also to achieve the objective of the regulations. Thus, women will be able to access justice and a more fair distribution of social roles will be possible. Violence against women and exploitation are ongoing universal issues. The Istanbul Convention adopted by the European Council in 2011 is an important opportunity for preventing all kinds of violence against women and their exploitation. The undersigning countries have to meet their related obligations. 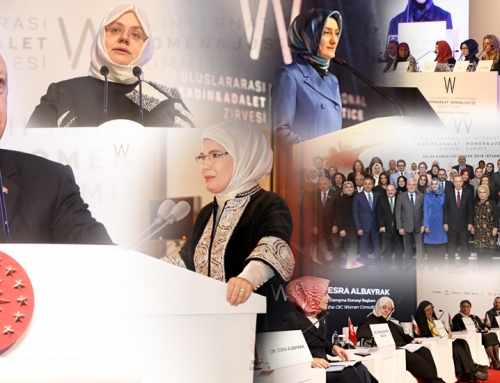 It is important that women should both individually and through their organizations make efforts and push the governments so that the Istanbul Convention is implemented. 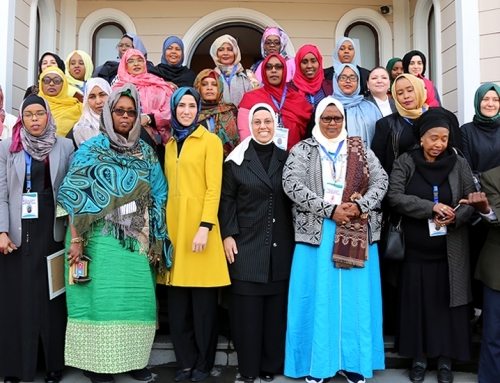 In conclusion, women need to take place in decision making in greater numbers and more influentially in order to live in a world where there are no wars, conflicts, terrorist actions, forced migration, violence or exploitation. The governments, political parties, local governments, the business world, the media, the NGO’s and the women themselves have to assume greater responsibilities for this purpose. A peaceful society and a world with peace is necessary not only for women but for the whole of humanity, and even living and non-living creatures. We therefore invite everyone taking decisions on the fate of our world to think it over once again.